WASHINGTON – (RealEstateRama) — The National Housing Conference strongly supports the U.S. Senate’s rejection of a procedural vote to consider President Donald Trump’s $15 billion budget rescission package by a vote of 48-50. 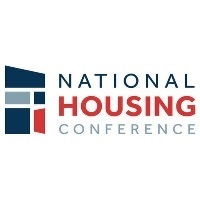 “The Senate vote was an important stand against a deeply flawed budget policy that would harm affordable housing efforts at a time when they are needed most,” said David M. Dworkin, president and CEO of the National Housing Conference. “I want to thank all of the Senate Democrats and express my special gratitude to Senators Susan Collins (R-Maine) and Richard Burr (R-N.C.) for standing up for sensible budget policy and voting against this deeply flawed legislation,” Dworkin said.